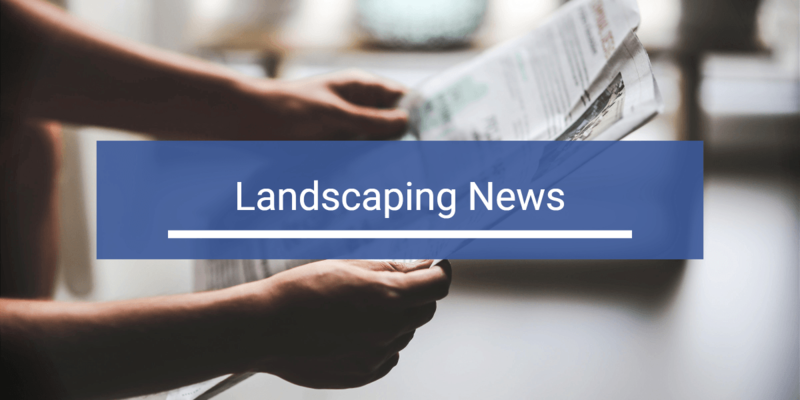 With November ending, it’s time for another Landscaping News Roundup. Here’s what’s making headlines in the landscaping industry this month. The Fort Worth Star-Telegram is getting back to the basics with this article about landscape fundamentals. While each landscape is unique, these foundational design elements are found in nearly every landscape. Scale and proportion, growth forms, textures, and focal points are common elements that you’ll find in virtually every landscape design, tying together landscapes that are seemingly opposites. Check out the elements that connect every landscape and how you can use those design tips for your own landscaping project. Under a partnership between Project Evergreen and Boss Snowplow, the SnowCare for Troops program provides free snow removal and other services for deployed active-duty service members. This is the winter version of their GreenCare for Troops program, which provides additional free outside lawn and yard services for military families through additional partnerships. Companies who wish to partner and military families can learn more here and find the online signup form as well. The University of Florida released tips on how to keep urban landscaping fun, profitable, and pest-free. Landscaping contributes $21 billion to Florida’s state economy each year. However, landscapers also spend millions of dollars each year fighting off pests. Using biological control, landscapers can combat pests while also saving money. Also known as biocontrol, biological control uses one natural element to control another, such as using predatory mites to eat spider mites. Check out the article here to see how biocontrol can help improve your landscaping and reduce your costs. The National Association of Landscape Professionals hosts its Awards of Excellence program. This year, Hoffman Landscapes in Wilton, Connecticut took the top prize. The Gold Award was presented to Hoffman Landscapes for their residential backyard design, including a custom pool, multiple terraces, and an outdoor shower. To read more about the esteemed award and to view the winning design, check out the article here.